Discussion in 'Mark Prin' started by Step, Jul 31, 2015. 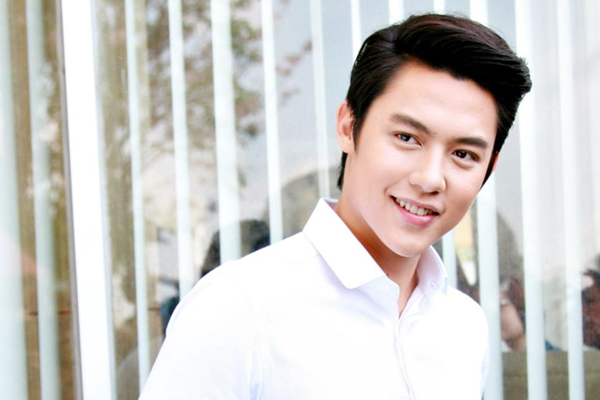 Mark (Prin Suparat) was born in Chiang Mai, but grew up in Lampang. He received 1st place medal from Judo competition when he was in 12th grade, and is in the Judo team for Rungsit University. He received a scholarship for athletes to study at Rungsit University. His entrance and debut break into the Entertainment/Acting field begun after he was scouted by a manager working for Channel 3.
xodxo, Bieluvr and ahome like this. Finally a Mark Prin Thread!!! Thank you for creating it!!! Looking forward to visiting this forum for updates and discussion. Yes, really glad there's a Mark thread now too. He is so cute in the clip. So Mark got 4th Place for this poll, while Kim got 7th palce. LoL. Where's all the Mark fans at? Even more sweeter than before because MK went to go Glaap mae in lumpang on mothers day and even went to visit Laos. Where are all the Mark fans? I don't think there are any on AF huh? I'm glad we have a MArk thread, but we need the fans to get this page going. Really? We should make a shout out for this thread. Mark is the winner or we should vote for him?? Is this about personality also? LOL. No. It's actors that you want to dream about in your sleep (like want to take to sleep with you in your dreams) Hahaha. Eaky must really like Mark for placing him 1st. I'm not sure. I haven't heard of it before until you posted it here. But I think people vote for it. I dont even know when they voted but Mark is the winner in that poll. James came second.